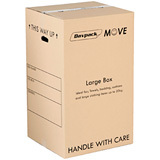 Specially designed printed boxes are ideal for moving house and storage. Printed with ‘handle with care’ and ‘this way up’ for delicate handling, with a printed panel for contents identification and room location. 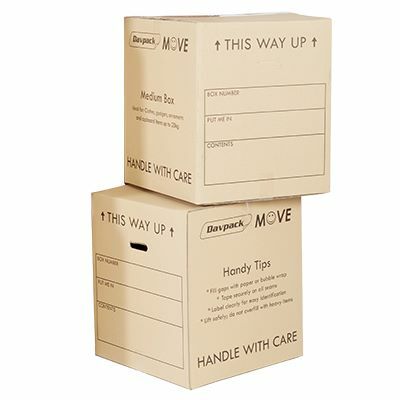 Made from superior strength double wall corrugated board, these removal boxes provide excellent strength and durability and will protect your belongings in transit. These medium sized removal boxes are perfect for packing clothes, gadgets, ornaments and cupboard items up to 20kg. Cut-out handles on both ends provide safe and comfortable lifting and all three sizes of box are modular for easy stacking. Get packing and organised for your move in no time, and order by 2:30pm for same working day dispatch!